Hollywood actor R. Lee Ermey has died. The Kansas native is being remembered by fans for his performance as a hard-charging and relentless sergeant in the movie "Full Metal Jacket." Ermey died Sunday morning from pneumonia-related complications. He was 74. 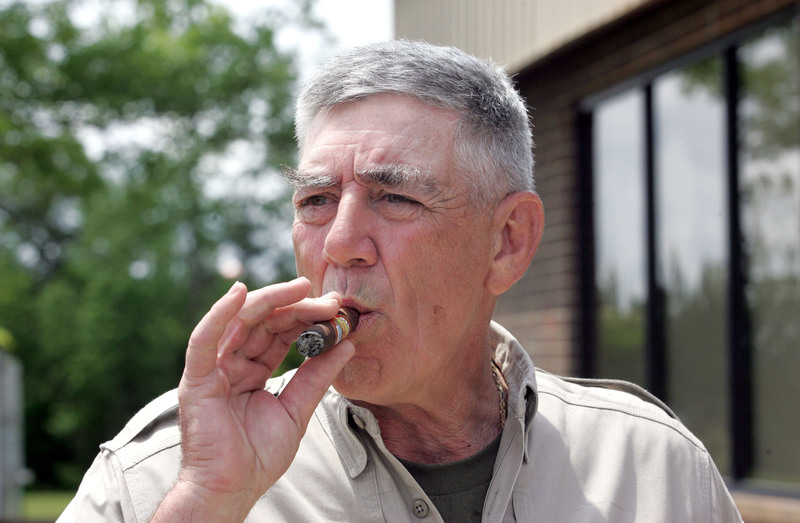 In real life, Ermey served 11 years in the U.S. Marine Corps, including stints in Vietnam and in Okinawa, Japan. Ermey spoke to KPR's J. Schafer several years ago when he was in the Kansas City area raising money for veterans' groups. Ermey played a helicopter pilot in the movie “Apocalypse Now” and provided the voice of the little green army solider, Sarge, in the "Toy Story" movies. Read more in the Kansas City Star. LOS ANGELES (AP) - R. Lee Ermey, a former marine who made a career in Hollywood playing hard-nosed military men like Gunnery Sgt. Hartman in Stanley Kubrick's "Full Metal Jacket," has died. Ermey's longtime manager Bill Rogin says he died Sunday morning from pneumonia-related complications. He was 74. The Kansas native was nominated for a Golden Globe Award for his memorable performance in "Full Metal Jacket," immortalizing lines like "What is your major malfunction?" He also voiced the little green army man Sarge in the "Toy Story" films and played a helicopter pilot in "Apocalypse Now," among many other roles. Rogin says that while his characters were often hard and principled, the real Ermey was a family man and a kind and gentle soul who supported the men and women who serve. Emporia native R. Lee Ermey was a Marine, a Vietname veteran and a Hollywood actor. He also hosted the TV program Mail Call on The History Channel.